That’s right, a gluten-free cookbook by yours truly is published and out! I think the actual release date is tomorrow, August 5th, but Amazon and Barnes & Noble have had it in stock for at least a week now, I’ve been gushing over my copies, and I’ve received lots of reader emails saying copies are arriving on doorsteps and have been for several weeks. 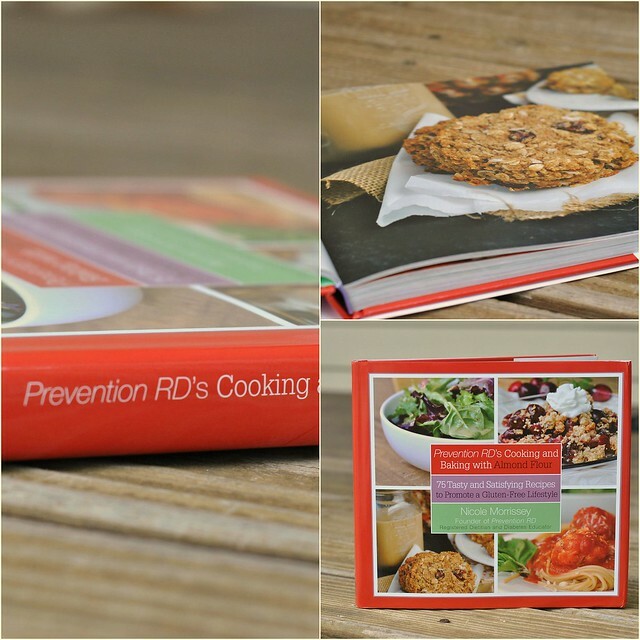 Last August when my first cookbook, Prevention RD’s Everyday Healthy Cooking, came out it was one of those pinch me moments. Like, “Yeeeaah…it doesn’t feel real.” And I think I’m still there, quite honestly. To see book #2 hit shelves is just, well, surreal. If you’re curious, “Why gluten-free, Nicole? You’re not gluten-free,” I wondered the same thing for quite some time. But the simple fact is: I’m a dietitian and the issues surrounding gluten are no dying issue. It’s my job to help people and it was time I rolled up my sleeves and learned all that I could about living gluten-free so that I could do just that. That said, I’m not an expert at gluten-free anything, but I can confidently say that 1. I love almond flour 2. its health benefits are abundant, and 3. I can sure whip up some mean dishes (both sweet and savory!) using almond flour. In short, I couldn’t be more proud of this cookbook and the impact I can only hope it will have on not only the gluten-free community, but those looking to eat healthful, delicious food. This time last year, I was spending every weekend experimenting with gluten-free flours and recipes and failing at each attempt an embarrassing number of times before creating a winning recipe. And then I would aim to perfect the recipe until it was…perfect, of course. I did that over and over again, through 75 recipes that, in the end, were published in Prevention RD’s Cooking and Baking with Almond Flour. All new recipes in one precious little cookbook. If you’re familiar with my first cookbook, you’ll likely appreciate that each recipe offers up the nutrition information, as well as various comments, suggestions, and tips for each and every recipe. There is a color photo to accompany every recipe, as well as an index to help you navigate to recipes that suit you best. There’s even icons to help easily show which recipes are Paleo, vegetarian, dairy-free, vegan, and so on. You could all pinch me right now, simultaneously, and I promise you this still wouldn’t feel real. Thank you for your loyal following and support. Thank you for reading, cooking, and for all of your feedback on all things Prevention RD — from blog to book. This would have never, ever in a million years been possible without the best readers in the world. FACT! 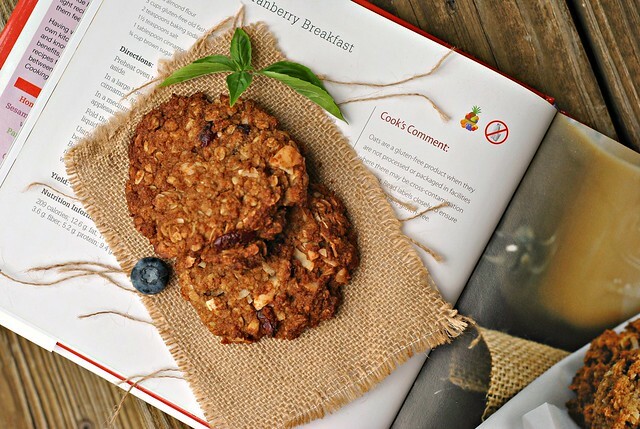 On that note, I’m beyoooond excited to share with you one of my most favorite recipes from my new cookbook — Coconut-Oat Cranberry Breakfast Cookies. 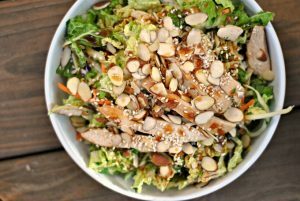 After making this recipe last summer I felt a weight was lifted off my shoulders. I felt like I had broken ground with almond flour and we were finally understanding one another – no easy task. I bit into these cookies and sighed with enjoyment as I tried to shove one down Mr. Prevention’s coconut-hating throat to confirm my success. Even with coconut, he praised the recipe and I knew this book would be a success. So, while not only a monumental turning point in my gluten-free “career”, but also a recipe that is through and through Nicole, I just know you’ll enjoy these, too. In a large bowl, whisk together the almond flour, oats, baking soda, salt, cinnamon, and sugar; set aside. In a medium bowl, lightly beat the eggs. To the eggs, whisk in the oil and applesauce. Fold the wet ingredients into the dry. The almond flour will slowly absorb the liquid and will become cookie batter-like. Fold in the cranberries and coconut. Using a ¼-cup portion, scoop batter onto cookie sheets, allowing 2 inches between cookies. Slightly flatten the cookies into a ¾-inch thick, round cookie. Bake for 20-22 minutes or until golden. Allow to cool on baking sheet for several moments before transferring to a wire cooling rack to cool completely. Serve warm or at room temperature. Leftover cookies can be frozen up to 6 months. Please share my book release with all of those you know who are gluten-free. I hear there’s a lot of them on Pinterest? 😉 If you’d love a copy (which I so hope you do! ), they are available in select stores tomorrow (B&N has a great little zip code search option so you can find the nearest store retailing the book! ), as well as online at Barnes & Noble and Amazon. I can’t even begin to explain how proud I am! I know that sounds silly but you are so amazing. I can’t believe you are able to cram so much living into one life! 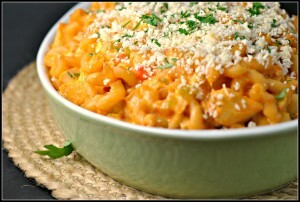 You are so accomplished and I love that every recipe you suggest is delicious and healthy. This cookbook is just amazing as the first and I cannot wait to get my mitts on a copy! Thank you, my dear! It means so much 🙂 xo! Nicole this is so exciting, I am jumping up and down for you!! So proud of you! This looks like another winner. Eveno people who are NOT gluten free will enjoy the book! Can’t wait to get my copy. Do you think I could use oat flour instead of whole oats? 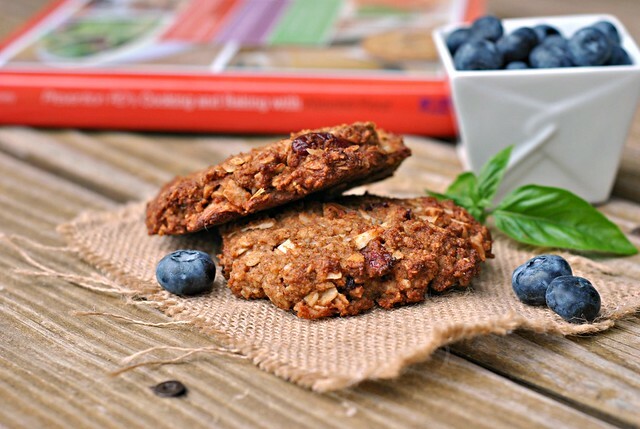 I have one child who hates whole oats in a cookie but if I use oat flour he never notices. This same child adores cooked oatmeal for breakfast, go figure! I know the texture will be different. So happy for you. Yours was one of the first blogs that I started following. You have fantastic healthy food perfect for everyone. Wish you great success on your cookbook. Congrats – so excited and thrilled for you! Squee!!! AHHH so exciting! Congrats on another cookbook! I actually won your last cookbook on a giveaway. I love it so much, I’m going to have to purchase this one! So proud of you Nicole!! But I have one question – where do you buy almond flour? Only at places like Whole Foods? I admit I haven’t looked that hard but didn’t know if it’s regularly available in grocery stores. Congratulations! Looks like a fabulous book. Congrats Nicoel!! I bet it’s a wonderful book. I’m so happy for you!! Can’t wait to get a peak at it! Why do you list teff as “not gluten free” in your book? Teff is a gluten free grain that is used in a lot of gluten free cooking and baking. I have celiac disease and I’ve been using Teff for over two years now. You need to research your information better! We tried the breakfast cookies this week without the coconut. My daughters have been enjoying them and I’ve been having one each morning reheated in the toaster oven along with my morning smoothie. They are great! Thanks! A VERY belated congratulations on the new book! You’re famous, again. If it’s anything like your first book I know I’d love it.